Hello! Can you believe it's the last day of August??? That means that today is the last day of our August Fun Friday theme which is Birthdays/Celebrations! 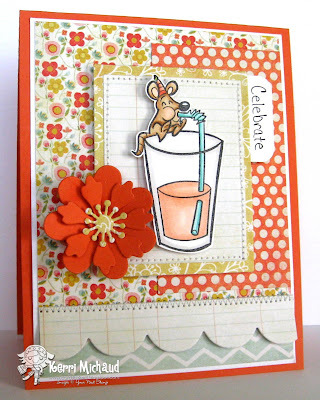 I decided to use this ADORABLE YNS image named Sippy for my card today:) The dp is some My Mind's Eye The Sweetest Thing Tangerine, and the layout is MFTWSC86. 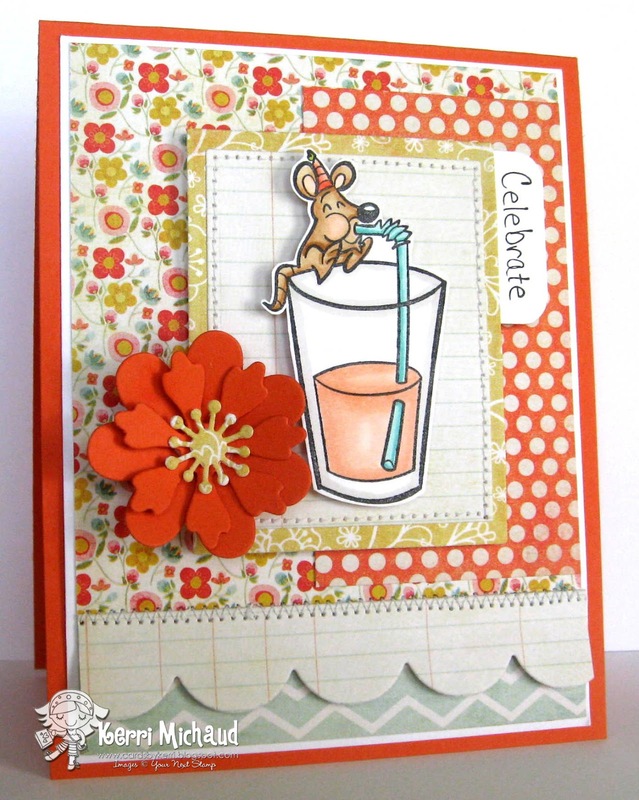 Make sure you check out the Your Next Stamp Blog for more fab projects today, and stay tuned for our new September theme which begins next week! We also have a new release coming up next week Woot Woot! My BFF and I took our daughters to the Big Time Rush concert a couple of nights ago. 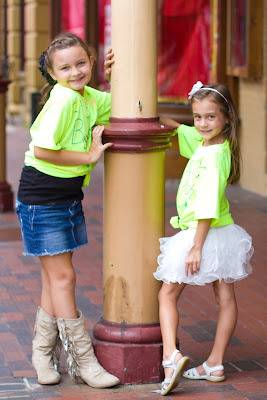 The girls had a blast, and I wanted to share this picture I took of them downtown. Thank you so much for stopping by today, and have a wonderful weekend! Wonderful card Kerri, super cute. Beautiful photo of your daughters.